This is a topic that has been extensively researched and discussed by authors far more qualified than me. Lots of studies have been done in lots of different countries and the results are always the same: drinking milk leads to increased risk of heart disease. There are a number of reasons for this. Heart disease is typically caused by plaque build up in arteries. If an artery near the heart becomes completely blocked, tissue damage occurs at the heart, which is what we call a heart attack. Milk actually aids in this plaque build up, making it progress faster than it otherwise would. It does this in two ways. 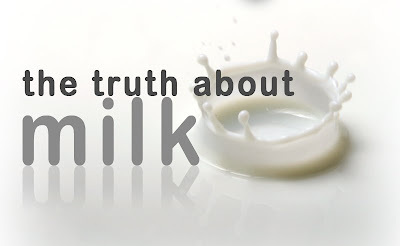 First, whole milk and 2% contain saturated fat and cholesterol. These have been shown by numerous studies to increase heart disease risk. The obvious solution, then, would be to stick with skim milk. But even skim milk has cholesterol and is unsafe for other reasons. As it turns out, milk (skim or otherwise) contains specific proteins that, when metabolized by the body, are broken down into various amino acids. One of the amino acids produced by the digestion of milk is known as BCM7. Dozens of careful studies have clearly implicated BCM7 as strongly increasing the oxidation of cholesterol in the blood, thereby increasing risk of a heart attack. The discussion of BCM7 is far beyond the scope of what I want to cover here. It is, however, a truly fascinating study. If you want to read more about it, there is a good summary article here, as well as an extensive book on the topic available here. Researchers who studied dietary links to heart disease in 32 countries found that, of all dietary factors studied, milk carbohydrates played the biggest role in the development of heart disease in men over 35, and nonfat milk played the biggest role in the development of coronary heart disease in men over 45. "The general observation can be made that, in countries where the daily calcium intake is 200-400 mg, arterial diseases are non-existent. Blood pressure does not increase with age. In countries where the daily intake is 800 mg, arterial disease is the leading cause of mortality. A more specific indicator is the strong positive correlation between consumption of milk and mortality from coronary arterial disease." As researchers examined countries with the highest rates of heart disease, the correlation with milk consumption was striking. The countries with the highest consumption of milk were also the countries with the highest heart attack rates. Incidentally, countries with the highest consumption of milk are also the ones with the highest rates of osteoporosis and other diseases, which we'll get to in another post. From this, it's easy to see that there is a clear link between milk consumption and heart disease. Heart disease is the leading cause of death in the United States, even more than cancer. It makes you wonder how many of those deaths could have been prevented by simply eliminating milk.